Are revolutionaries asking the wrong question? Is it possible that movements for reform and the actions of intentional revolutionaries to promote them are of little importance in shaping the course of events? In the following I take a new look at the period leading up to the Civil War, focusing on the actions of “extremists” that led to it. My aim will be to indicate how antebellum revolutionaries made a difference and suggest a course for their counterparts today. The American Anti-Slavery Society was founded in 1833. It fielded agents who traveled throughout the free states, speaking publicly, selling literature, and helping to form local societies. By 1838, the national organization had an estimated 250,000 members, a number roughly comparable, given the population at the time, to the numbers of leftists of all shades today, though proportionally greater than the combined membership of all of today’s revolutionary groups. Their “practical” work consisted mainly of petitioning Congress for the abolition of slavery and the slave trade in the District of Columbia. Individual abolitionists agitated to end the exclusion of black people from trades, opened schools for black children, fought for their admission to public schools and sought to end segregation on public conveyances. The antislavery press publicized these efforts. While abolitionists cited the denial of literacy to the slaves and the breaking up of families as examples of why slavery should be abolished, they did not seek to correct these “abuses” through legislation. (3) They would have thought it absurd to appeal to slaves to join their societies or to attempt to “organize” them to better their conditions. (4) In these respects their behavior differed from that of present-day radicals. Shortly after its 1840 convention the Antislavery Society began a campaign to get the north to secede from the Union. By taking it out of the Union, they hoped to free it from the need to enforce the Fugitive Slave Law. The slogan “No Union with Slaveholders” translated itself at every Abolitionist rally into a pledge never to send back the fugitive slave who set foot on free territory. When Garrison burned the Constitution at a public meeting on the Fourth of July 1854, it was the expression of a strategy. In the twentieth century it would become known as a strategy of dual power. The abolitionists had almost no “practical” success: They won no victories comparable to the eight-hour day, child-labor laws, union recognition, Social Security, unemployment insurance and other accomplishments of which modern Leftists boast. Segregation remained almost universal in the north; although attempts to rescue fugitive slaves led to dramatic conflicts, very few succeeded; the Underground Railroad had no significant direct impact on the numbers of people enslaved. The churches remained intact. Even the activity toward which the abolitionists dedicated the greatest attention, petitioning Congress, had no direct effect: In 1837, they submitted petitions with over 400,000 signatures; Congress refused to receive them. The failure of the abolitionists to achieve tangible results should not, however, lead anyone to dismiss them as ineffectual, as many historians have done. Every one of their campaigns moved the country toward Civil War, the condition for and turning point in the abolition of slavery. Similarly with the Fugitive Slave Law. Northern personal liberty laws and the reluctance of northern juries to return runaways stuck in Southerners’ throats and led them to insist on, and finally pass, a fugitive slave law that transferred authority from the states to the federal government and made every northern elected official an agent of the Slave Power. Many northerners who had mixed feelings about the presence of large numbers of black people among them were turned into opponents of the Slave Power when they realized that their rights, not merely those of the slave, were in jeopardy. 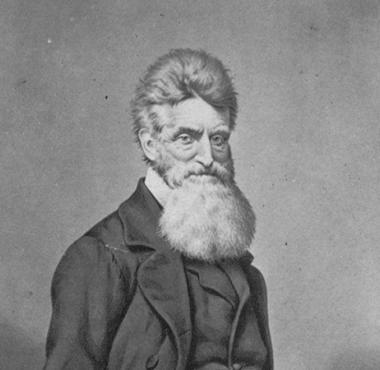 John Brown’s attack on Harpers Ferry was the logical application of the dual-power strategy. Its greatest impact was not military but intellectual and emotional. As Wendell Phillips said, Brown “startled the south into madness.” The slaveholders reacted with fury to the raid: they imposed a boycott on northern manufactures, demanded new concessions from the government, and began preparing for war. By the arrogance of their demands, they compelled the people of the north to resist. Slavery bred rebellion, which provoked repression, which led black people to leave the South, which gave rise to a black community in the north, which was the basis of Abolitionism, which engendered John Brown, who provoked Southern retaliation, which compelled northern resistance, which led to Civil War. What does the history look like from the standpoint of southern proslavery extremists? At least three decades before the Civil War there already existed in southern states people who advocated secession on the grounds that the Union could not be relied on to protect slavery. They were called “fire-eaters”; the best-known among them were William Lowndes Yancey, Robert Barnes Rhett, and Edmund Ruffin. They were mirror images of the abolitionists, developing, like them, in opposition to moderates in their own camp. The story of how a small band of extremists came to play an important role in preparing an insurrection against an established power holds lessons for those of all political persuasions who hope to do the same today. The Democratic and Whig Parties were both uneasy coalitions of northern and southern interests. While both Parties drew support from both regions, the Democratic Party was strongest in the south and regularly furnished it with the bulk of its congressional and presidential strength, while the Whigs did the same for the north. If in the north abolitionists sought to destroy the Whig Party, southern fire-eaters adopted the same stance toward the Democratic Party. Southerners were a minority within the national Democratic Party. Their influence depended on the rule that presidential nominations required the agreement of two-thirds of the delegates to conventions, and on the fear that southerners would leave the Party if their wishes were ignored. (11) Ultimately Party unity depended on the desire of northern Democrats to avoid a split. How far they were willing to go to conciliate the South depended on how much their northern constituents would tolerate. So long as defenders of slavery believed the Democratic Party could be relied on to protect their interests, they would reject secession. The task of the fire-eaters, therefore, was to destroy it. Their insistence on pushing through a gag rule, even at the cost of antagonizing northern Democratic allies, illustrates how they went about achieving their goal. The fire-eaters, like the abolitionists, pursued a different course: they sought to divide all who could be divided, draw a clear line between themselves and the moderates, and establish themselves as a distinct pole against the consensus on their side. At no time did the fire-eaters seek to unite all proslavery forces, but to compel moderates within the proslavery camp to adopt secession in spite of themselves. In sum, the revolutionary crisis of the Civil War did not come about through extremists’ protracted participation in the reform struggle but through a process of reciprocal provocation in which the actions of one side called forth a reaction from the other, a process in which the actions of the revolutionary minority formed a part. It might be worth asking, what issues and tactics offer a similar potential today. (3) Some reformers, mainly southern, sought to do that. See William W. Freehling, The Road to Disunion, II, 48-50. (4) Slaves used various means to ameliorate their oppression short of flight or rebellion. 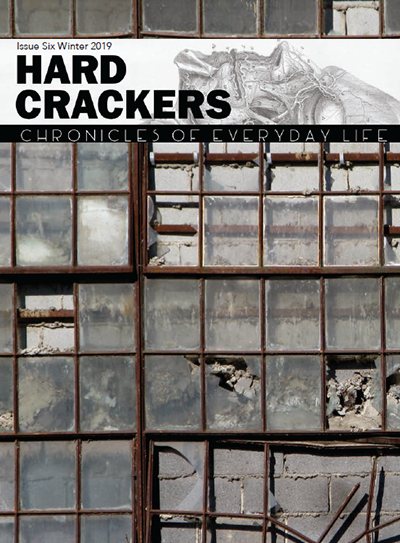 See George Rawick, From Sundown to Sunup: The Making of the Slave Community. (5) Stephen Foster (the husband of Abby Kelley) used to enter a church, interrupt the service and denounce the minister and congregation as a “brotherhood of thieves” for their ties to their southern co-religionists; ejected physically (often thrown down the steps), he would pick himself up, dust himself off and go on to the next, repeating the performance. (6) Not until 1850 were public slave sales abolished there. Congress never moved to abolish the interstate slave trade, and in the 1850s contemplated reopening the trade that had been banned in 1808. There was no Constitutional way to abolish slavery in the country as a whole, since an amendment required the approval of three-fourths of the states at a time when there was an equal number of free and slave states. (7) The Gag Rule controversy calls to mind the modern BDS movement. While the effect of BDS on the Israeli economy has been slight, it has provoked the Zionist regime into retaliating against BDS supporters, even banning them from entering Israel. Such a policy can only make enemies. (8) While for geographical reasons fugitive slaves could not constitute a significant factor in the Deep South, they did in places where the comparative ease of escape reduced the value of a slave and persuaded slaveowners to sell their slaves “down the river,” whitening the state and threatening eventual abolition. Many could see the handwriting on the wall in Delaware, Maryland, Kentucky and Missouri. If those four states abolished slavery even in the qualified way Pennsylvania and New Jersey had done, the number of slave states would be reduced to eleven, increasing the pressure on others and raising the specter of Constitutional emancipation. Fear of that possibility led to the annexation of Texas and the attempt to bring Kansas into the Union as a slave state. I am indebted to Freehling for this interpretation. John Ashworth, in his two-volume Slavery, Capitalism and Politics in the Antebellunm Republic, recognizes the importance of the slaves’ actions, although he sees the mechanism differently. Slave resistance, he argues, led the slaveholders to seek the loyalty of the nonslaveholding white majority, which rested in large part on the hope that they could someday own slaves; the need to satisfy them led the south to try to extend slavery into new territory, which led to conflict in the West, which led to the Civil War. (9) Du Bois, John Brown provides a good treatment of Kansas, as does David Reynolds, John Brown: Abolitionist. (10) While slaves had been 25 percent of the border south population in 1790, they comprised only 13 percent in 1860, compared to 32 percent in the middle south and 47 percent in the lower south. In 1790, 21 percent of southern slaves had lived in the lower south, in 1860 59 percent did. In the 1850s, border south masters sold 53,000 slaves and middle south masters 84,000 to the lower south. Border states increasingly depended on immigrant and free black labor rather than on slaves. (11) The U.S. Constitution augmented the minority’s power through the three-fifths clause and the electoral college.